JOHANNESBURG – HUAWEI, the global information and communications technology (ICT) solutions provider, is intensifying plans to launch its maiden data centre in South Africa, which is among its major offerings for the local market in the current year. Ray Rui, President of Huawei Cloud Africa Business, confirmed the facility would be operational in the third quarter (Q3). The executive was speaking at the just-concluded Huawei Eco Connect where the Chinese-headquartered firm unveiled its platform and ecosystem strategy for 2019, targeting Africa’s most advanced economy. 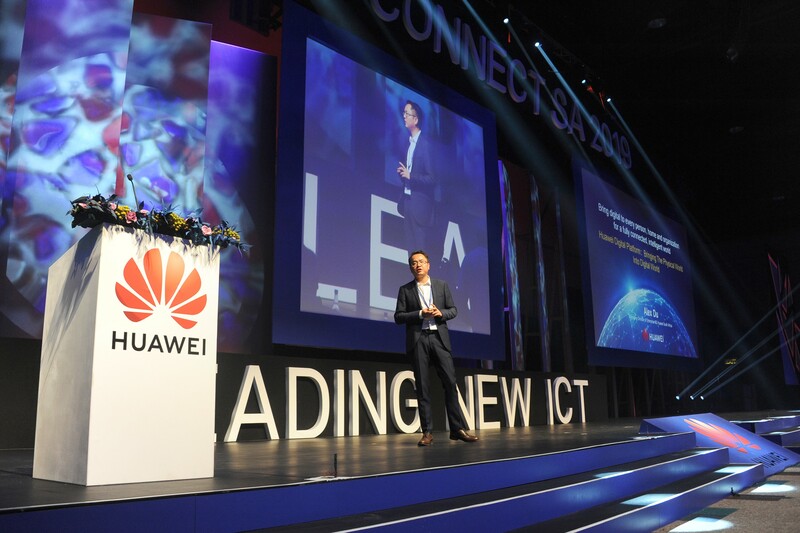 Also speaking at the event in Johannesburg, Alex Du Min, Huawei Enterprise Managing Director, said Huawei would provide the data centre facility, hardware and software infrastructure and technical team while the yet-to-be-confirmed partner would contribute ideas, products and human resources. “By working together, Huawei Enterprise can enable new ideas to be cultivated at a much faster pace and can allow for more agile industry innovation with a more efficient proof of concepts creation,” Min said. According to Min, the company’s strategy for South Africa in 2019 will centre around collaboration with partners and customers in order to develop innovative and leading industry specific solutions that will enable flexible, open, and secure platforms to drive enterprise digital transformation. In line with that, Huawei Enterprise will in 2019 specifically focus on products and solutions namely, Huawei OceanStor Dorado all-flash storage, Huawei Wi-Fi 6 AP, the industry’s first data centre switch built for the AI era and Huawei’s software-defined cameras that can be applied in a wide variety of security scenarios such as face checkpoint, situation awareness, vehicle checkpoint, and Intelligent Transportation Surveillance (ITS). More than 1 000 delegates attended the Huawei Eco Connect. Partners among them Altron, BCX, Commvault, Datacentrix, EOH, Gijima, Mustek, Pinnacle, Reflex, Tech Mahindra, TorqueIT, Trillcom and Xon exhibited. “Huawei Enterprise will continue to strengthen relationships with our partners in South Africa and fiercely support and enable them to achieve the best results for their businesses by equipping them with the latest technological advancements in this market,” Min concluded.